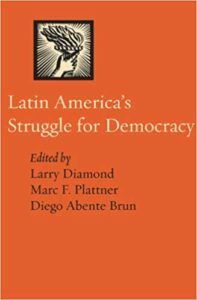 Democracy is enduring in Latin America, but it cannot be said to be prospering. Illiberalism and polarization are rising. Yet core democratic institutions remain firmly in place, and therein lies hope. 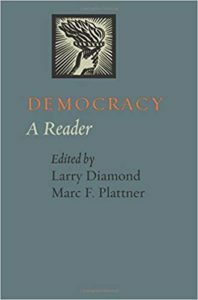 In contrast to the conventional wisdom that democracy is in retreat worldwide, the evidence tells a different story: The state of global democracy has been stable over the last decade and is actually better than it was in the 1990s. Authoritarian regimes that have their origins in revolutionary struggle have a much higher survival rate than other brands of authoritarianism. What accounts for their durability? A particular pattern of institutional change—“serial replacement”—is dominant in Latin America and other developing countries with weak institutional contexts. This pattern is characterized by institutional change that is both frequent and radical. The most striking thing about Fernando de la Rua’s presidential victory in Argentina was the routine-even boring-character of the elections. This turn toward normalization is a major break with the past. In the wake of its recent crisis, Argentina can move from survival to stability only if it responds to demands for institutional change in a way that strengthens the country’s institutions over the long term. Despite key improvements during Néstor Kirchner's presidency, Argentine democracy remains vulnerable to crisis. The near collapse of the party system and weakness of political and economic institutions continue to threaten stability. In some countries, democratic competition is undermined less by electoral fraud or repression than by a skewed playing field—unequal access to state institutions, resources, and the media. In a runoff between candidates with dubious democratic credentials, former antisystem outsider Ollanta Humala defeated Keiko Fujimori by attracting votes from the middle class.